1. You Wanna Hug Widdat? Goonz 2 is a collaborative album by Hal McGee and NOMUZIC, recorded May 4, 1997. See scans of pages from HalZine Issue #4, July 1997, below. 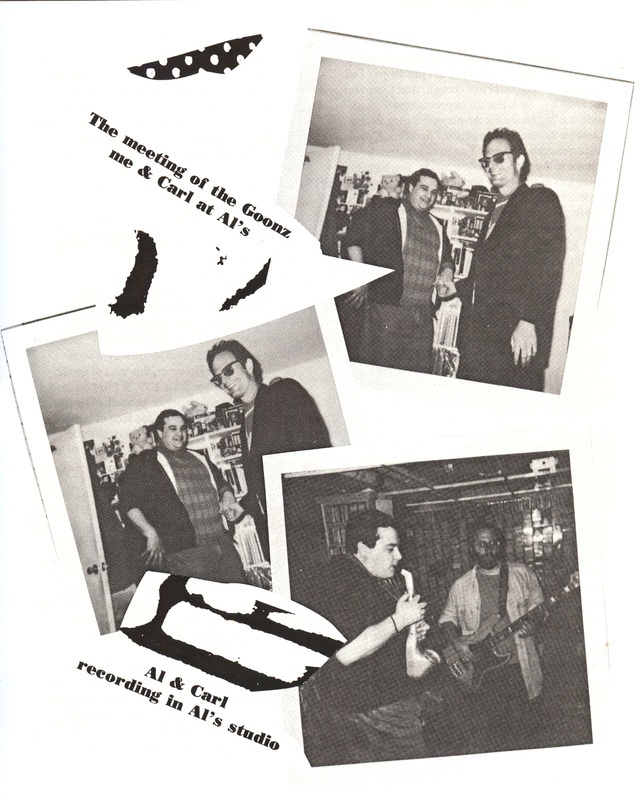 The first three tracks include Al Margolis (If, Bwana), recorded in Brooklyn, New York. The fourth track includes Reginald Taylor, and was recorded at audiofile Tapes headquarters in Jersey City, New Jersey. The first track on Side B includes John Hajeski (Busyditch, pictured center front cover) on circuit bent gear including Portable Anarchy Hybrid Mini-Sax, Speak & Spazz, sampling violin -- plus Theremax Theremin. Goonz 2 was originally released on the audiofile Tapes and HalTapes labels.